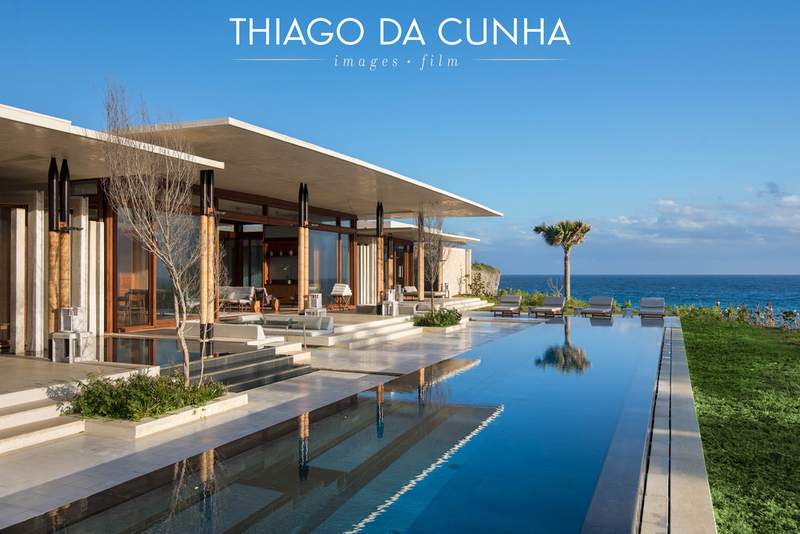 Thiago da Cunha is the definition of superb Resort and Hotel Photography, but he doesn’t stop there. This ultra creative man has mastered the art of capturing the essence of spaces such as the interior of homes and yachts, architectural photography, and staging design photography. With his humble and enthusiastic demeanor, he will take you on a journey of the mind, both in-person and through his awe-inspiring photography. Thiago was born in Luanda, Angola in 1968, and grew up a local of the Dominican Republic. Throughout his lifetime he has lived in beautiful places such as Lisbon, Portugal and Lima, Peru. These wondrous destinations sparked an ingenious eye for creativity in him. After a short stay in Freeport, Bahamas, he decided it was time to ground himself at his home base in the Dominican Republic to start his own business and become an entrepreneur in the field of photography. 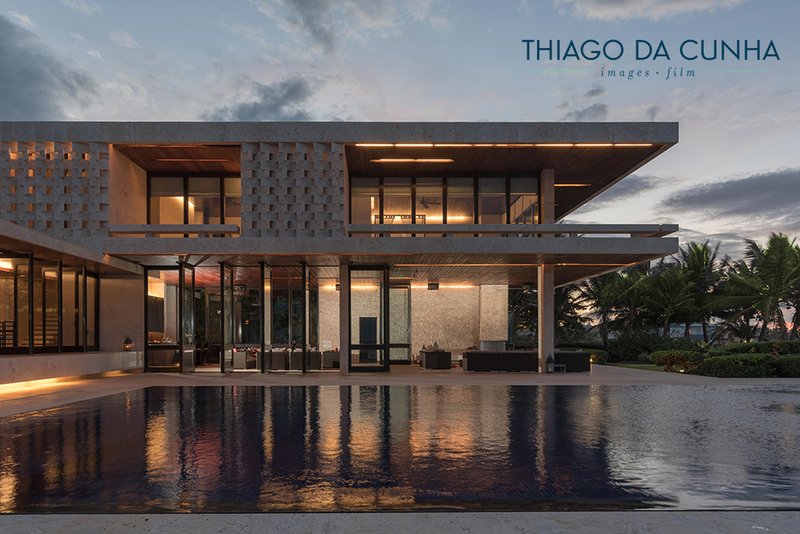 During Thiago’s educational background, he attended Escuela de Diseño Altos de Chavón, School of Design in the Dominican Republic. Here he attended such classes that allowed him to master the art of architectural photography and work alongside his most inspirational mentor, Architectural Photographer Peter Loppacher. Thiago also attended The Nikon School of Photography in Miami, Florida to further the education of his passion. His immense knowledge and expertise in Resort and Hotel Photography is in part thanks to his Bachelor’s Degree in Hotel Management from Pontificia Universidad Católica Madre y Maestra in the Dominican Republic. 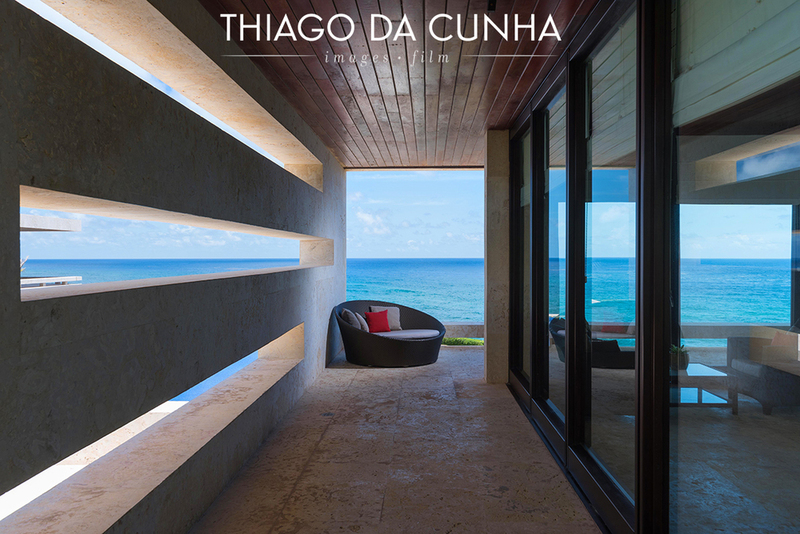 This advantage in knowing the ins and outs of hotel design and staging, has allowed Thiago to achieve visual perfection in photography for top rated Resorts and Hotels. 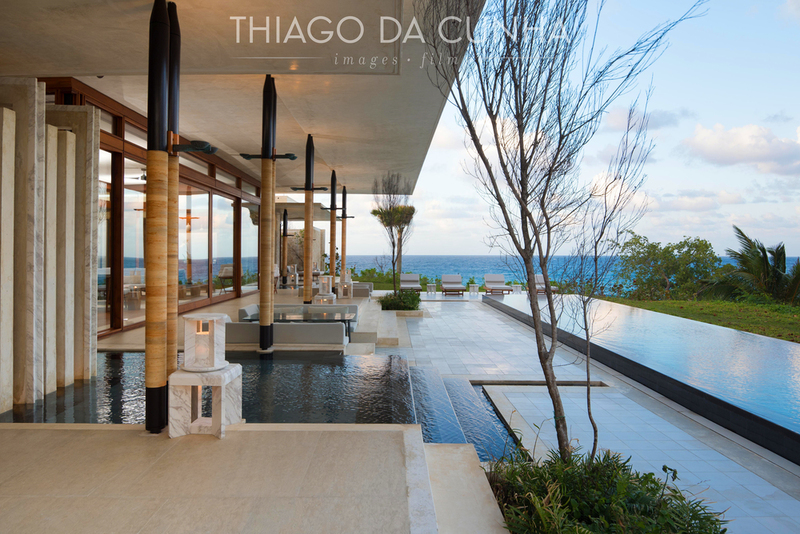 Many of Thiago’s clients are located in the Caribbean. 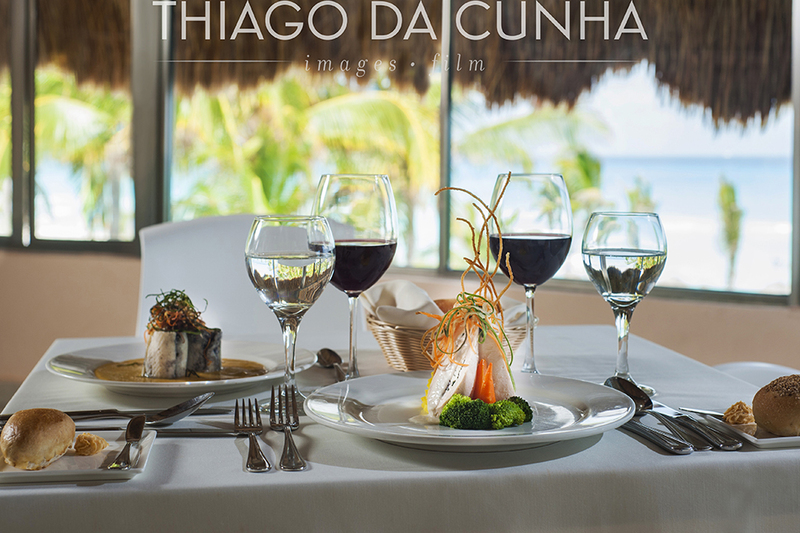 Living in the Dominican Republic has proved to be ideal for a thriving photography business of Thiago da Cunha’s stature, and his clients. His headquarters are located near Punta Cana and Capa Cana, two extremely popular hospitality and luxury home destinations in the Caribbean. Although, he is no stranger to travel in pursuit of the ideal opportunity to capture your aesthetically pleasing home, yacht, resort or hotel through his lens. La Importancia de Dejar Ver la Proximidad de la Piscina con el Mar. Hotel Eden Roc at Cap Cana. Hace muchos años tuve la oportunidad de trabajar con un alguien dónde este sin saberlo me enseñó algo que aún uso continuamente en las fotos de hoteles que hago. "Al fotografiar una piscina de un resort costero, siempre trata de sacar en la foto lo cercano que esta la piscina con el mar. El turista viaja miles de kilómetros por esto." Este consejo lo conservo hasta hoy y no solo lo uso en plano tierra, sino también en las tomas aéreas. Recently started doing some tests with animated or moving pictures for my hotel photography work. Here is a sample. 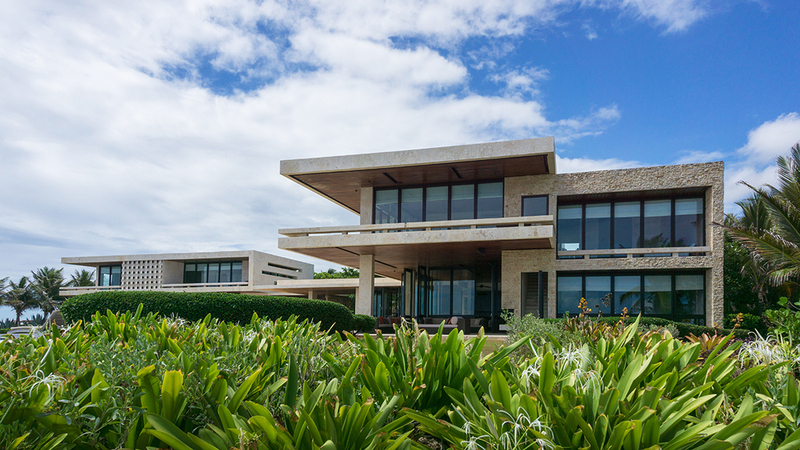 Tuve la oportunidad de hacer algunas fotos arquitectónicas de esta maravillosa villa en la República Dominicana. Aunque la piscina es el centro de atención de la villa, exageré aún más su grandeza al bajar el ángulo de la cámara. Esto, junto con el uso del lente angular, dio un punto de vista poco común de esta propiedad. El color azul oscuro de la piscina le da continuidad al del cielo y del mar ofreciendo así una armonía en la imagen. Me encantó hacer este trabajo y al ser fotógrafo en la República Dominicana, sé que locaciones así con poco comunes pero sí existentes. Joyas escondidas como esta villa me da voluntad de hacer una búsqueda aún más extensa de la diferentes casas aquí presentes. This splendid property design by architect John Heah was such a pleasure to photograph. I photographed what I felt. In this image you can see how fresh, spacious and visible the villa is. The simple design flows from one room to another to another. I captured all of it in this image here. Such a simple but working design. This view from the side shows how close the property is to the ocean. I tried to find an angle to show how much surrounding water the villa has. The Aman photography guidelines states that the water is important. Calmness, serenity and a sense of relaxations is what I felt and tried to transmit it in this image. This image is the entrance to the villa from the owner's door. As you see, water is present on both sides as the guest walk into the property. This images on the bottom is the same space looking at the villa from the entrance. Again, water in the front, then the pool and later the ocean. From the interior you can see the water coming inside through this space before entering this room. Architectural photographers have always to see that the vertical lines remain vertical in the final imagery. 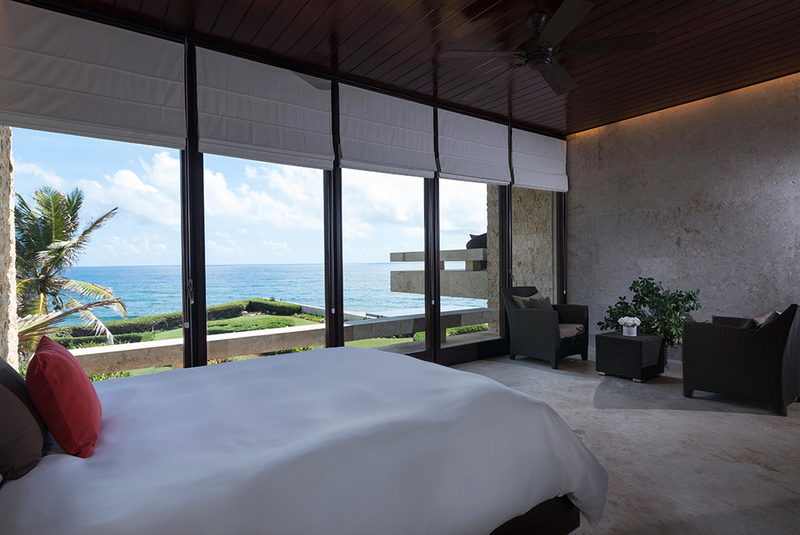 With the automatic popup TV hidden in front of the bed, the guest has a beautiful view of the pool and ocean. Automatic blackout curtains give privacy when needed. Wood is a constant through out the villa. This is a view from the bathroom behind the bed window. From the bathroom it is also possible to enjoy the view of the beach and the ocean at the same time. This image here really says something about the detail process that the architect went through in order for all spaces to have an outside view. A detailed shot of the living room, dinning room and the kitchen. 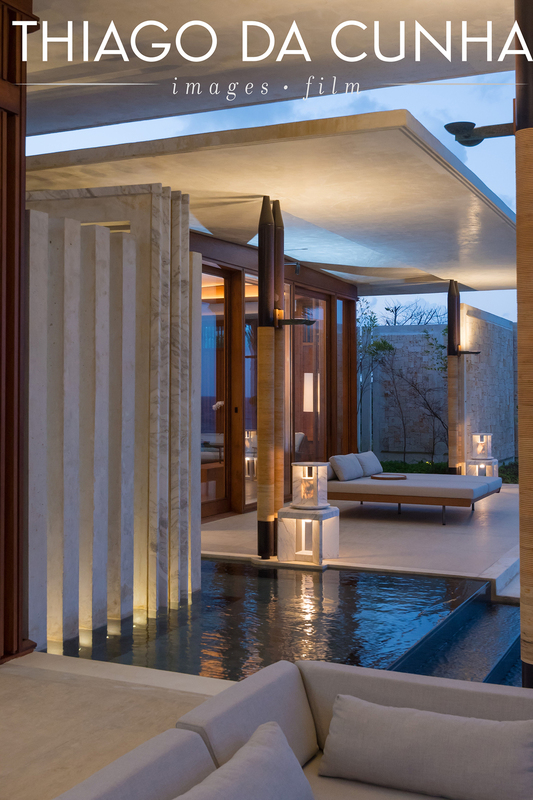 Again, wood and water is present as well as the large transparent glass windows on both sides of the villa. Recientemente tuve la oportunidad de fotografiar esta estupenda casa en el norte de la República Dominicana. Con 8 habitaciones, creo que se le puede denominar una mansión. Esta es Casa Kimball. Mi trabajo de fotógrafo de interiores y hoteles me lleva a estos otros trabajos de luxury real estate (fotógrafo de casas de lujo). Fotografía de arquitectura aquí en el Caribe. De esto se trató este trabajo. Esta bella propiedad, aunque la usa el dueño, la alquilan en temporadas para bodas y demás fiestas. Por tal motivo, los interiores de la casa los fotografié como fotógrafo comercial, de hoteles, haciendo énfasis en las vistas y las camas. En los exteriores fui muy cauteloso como todo fotógrafo de arquitectura en las líneas verticales. Toda la propiedad consta con unas ventanas altas giratorias las cuales al abrirse dejan entrar la constante brisa Caribeña. La principal atracción de la casa es esta impresionante piscina infinity con un color azul osculo la cual termina con el Mar Caribe. Toda la parte inferior de la casa excepto la sala de juegos se deja refrescar por la brisa. Ninguna área común consta con aire acondicionado. Todas las habitaciones, incluida la que tiene vista hacia el sur, tiene vista al mar desde su balcón. Abajo de la piscina infinita, esta el jacuzzi. Aqui se da un ambiente totalmente diferente al de las otras áreas de la propiedad. El mar y su ruido son los anfitriones. 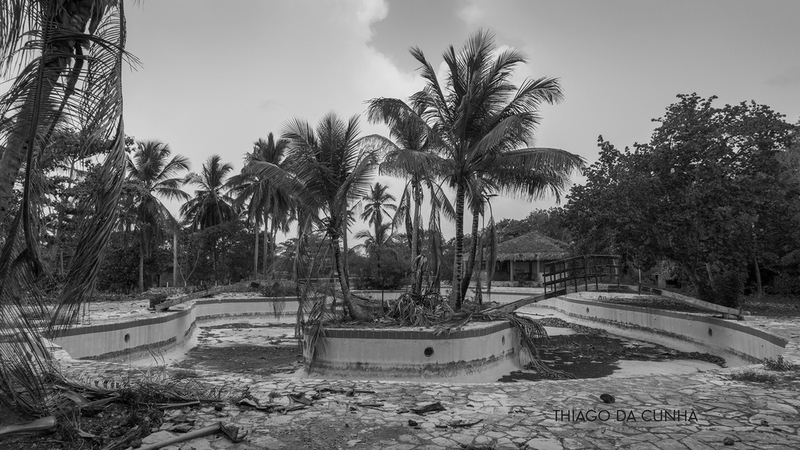 Antes de fotografiar esta mansión en el Caribe tuve un tiempo investigando sobre su arquitectura ya que me llamó mucho la atención desde un principio. Su arquitecto es Jasmit Singh Rangr. Este proyecto ganó un International Property Award. Esto hizo estas imágenes aún más particulares de lo que yo pensaba. It is just amazing how one job leads to another. 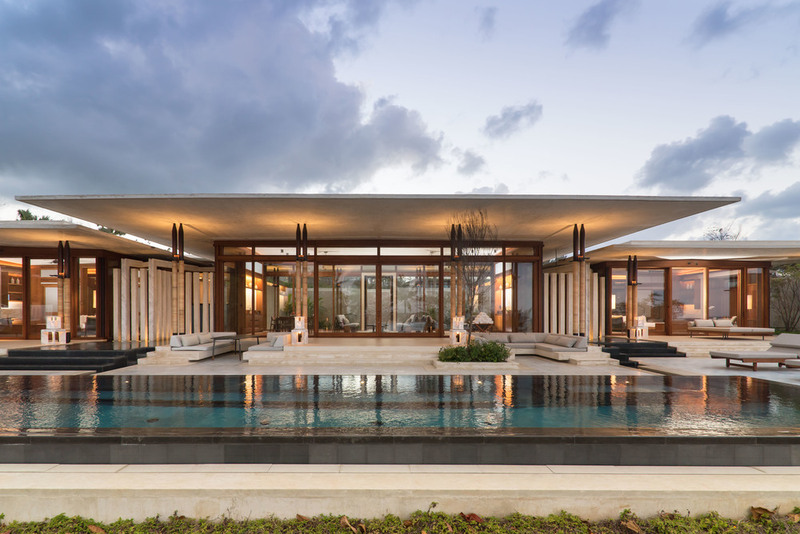 I recently had the chance to shoot an amazing home in the Dominican Republic. It is a peace of art ery well done by Rangr Studio, an internationally published architectural design firm. This is Casa Kimball. I spent 2 days photographing and filming this unique property and needed probably 3 more days to be satisfied. So many angles, so many views! Just amazing. Photographing architecture tends to take away time from me. I totally was involved with the house while shooting. The high and robust windows that open within themselves in a 180 degree circular motion really do let in the nice Caribbean breeze. These windows allow a more pleasant visual transparent effect that semi permits to look inside from the outside. 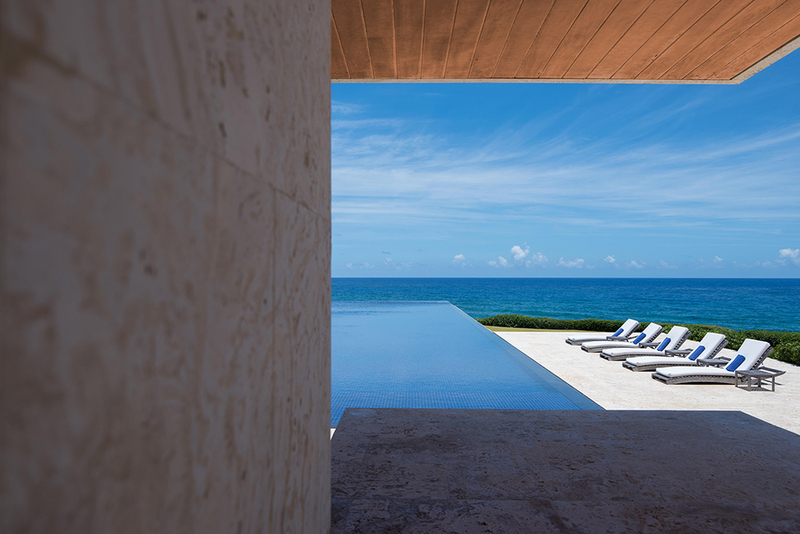 The main attraction is the amazing large infinity pool overlooking the Atlantic Ocean. 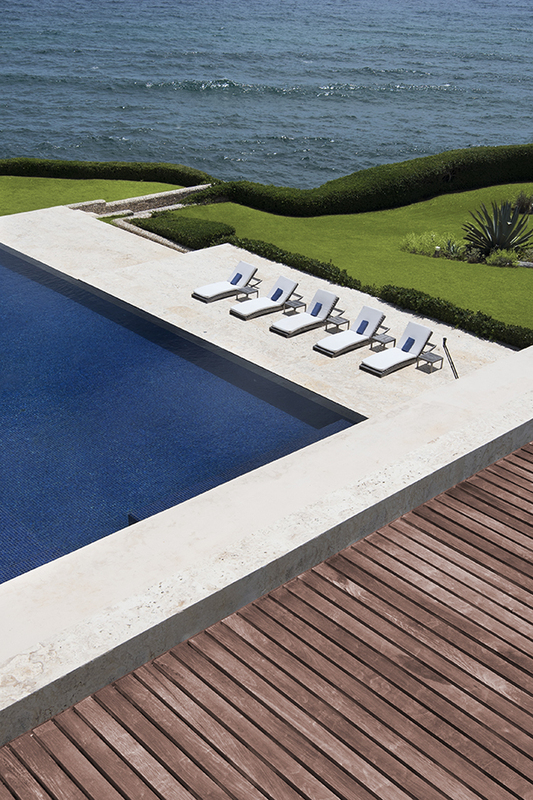 The dark blue color this pool has makes it just chic and perfect for this home. It complements its architecture in a strange yet unique way. Casa Kimball has a rigorous maintenance program. A constant well prepared staff keeps the property at its best year around. 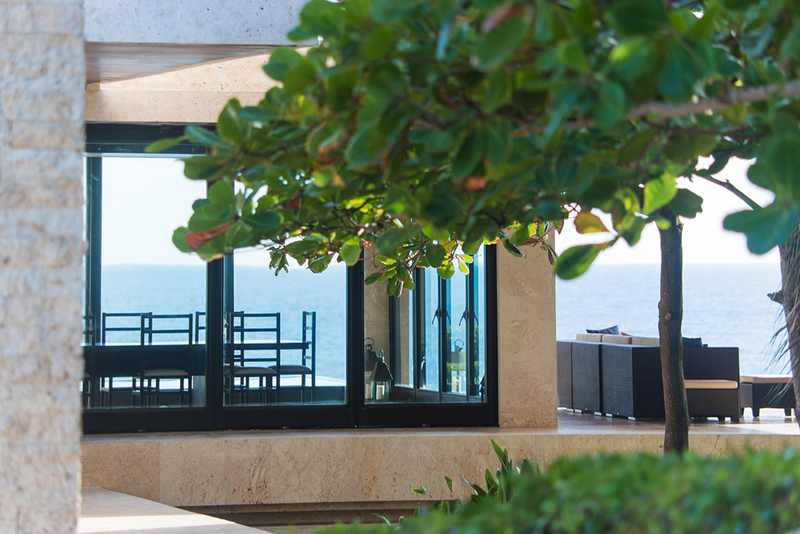 Having these images from a great architectural property such as Casa Kimball is truly a pleasure. Here are some images I did. I will publish the video also (it is already to go) but some minor editing needs to be finished first. Interior photography does have many sub categories or niches. I have the interior hotel photography work, the real estate photography and now the yacht photography. It is all about photographing spaces. I have to say that modern yacht are so much different than years ago. The decoration is so up to date and actual. The interior yacht illumination has also come to a new level. Here is an image I did in a recent yacht in Casa de Campo, Dominican Republic. This is the interior of an Azimut 2014 yacht with opened sun roof. Yachts need good photography because of its exclusive market. Good images are used to rent, buy or sell boats. At any level. Fotografo hoteles en Punta Cana, República Dominicana. Esta imagen la realicé para el Hotel Embassy Suites by Hilton en Santo Domingo, República Dominicana. El amplio lobby recibe al cliente con techo alto y colores neutrales. Es muy importante que el lobby dé una buena primera impresión porque es lo que vé por primera ves el cliente al llegar al hotel. Además del atractivo visual, el personal humano del hotel tiene que ir al par en dar un buen recebimiento. Estos 2 puntos aseguran al cliente una buena bienvenida al hotel con agrado. Tenía tiempo sin hacer un proyecto personal con la fotografía. Bastante tiempo. Casi unos 15 años creo. Todo mi trabajo de fotógrafo de hoteles y demás tiene mi atención como meta fija en corto y largo plazo. De repente pasaron 15 años. Increible. Mi último trabajo personal fué el libro "Intended Consequences: crus and calcei" http://www.blurb.com/b/1048026-intended-consequences-crus-calcei . Un libro que duró unos 3 años en realizar. El tema de piernas y zapatos de damas lo tenía en la cabeza desde hace años. En realidad desde que empezé a viajar a Italia y tener el placer de durar horas y horas en librerias enormes. Antes de este libro, mi primer proyecto personal (aún no concluido) fué de retratar damas de la ciudad de Santiago de los Caballeros, Repúlica Dominicana "Damas de Santiago". Antes de este proyecto, puse financiar, finalizar y exponer "Damas de Santo Domingo" cerca del 2000. Ahora, 2015, con todo el trabajo fotográfico de hoteles que he tenido, se me ocurrió hacer un trabajo personal alrededor de este tema también. En realidad es algo paralelo en cierto modo. Fotografiar hoteles abandonados es como tener una terapia personal bien necesitada. De ver todo lujo y exelentes servicios en los hoteles más modernos de la República Dominicana y del Caribe a ver propiedades que una ves fueron grandiosas pero en total abandono y descuido es algo impresionante. Al ver y fotografiar tales lugares me pregunto ¿Qué fué lo que pasó aqui? ¿Dónde se fueron los turistas y empleados? ¿Cuándo se fueron? ¿Qué pasará con la parte física del hotel que costó tantos millones en contruir? En fin, las preguntas son muchas y casi ninguna tiene respuesta. Al fotografiar estos hoteles abandonados, sólo me hace sentir más sólo. La buena fotografía de hoteles se usa para vender la propiedad fotografiada. Esta es la forma más rápida y común para divulgar las imágenes en las redes. En los últimos años mis clientes me han requerido también videos e imágenes 360 grados de las propiedades. Con estas 3 herramientas, el departamento de marketing del hotel tienen mayor flexibilidad a la hora de vender. Aquí un video general de un hotel en el Caribe que filmé hace poco.